Kylie Wright (center) at Nurse’s Appreciation event. I had the awesome opportunity to be the Marketing Intern for the summer of 2018, while also helping out with Special Events as well. The main highlights of my internship was working on the Make Eating Matter campaign and helping plan the Heart of the House Gala. Kylie Wright helping with Gala preparations. Before showing up to my first day as an intern, I had no idea what to expect. You don’t understand the amount of compassion and work that goes into a nonprofit until you are behind the scenes and doing it yourself. Every day is something new and you surely are never bored. The main pieces of advice I could give you is to network, do your best and always ask questions. Some days it is hard to sit at your desk without getting a lot of face time with the families staying at the House, but you can never lose sight of the mission. Network. Networking is probably the best thing you could do for yourself as an intern. 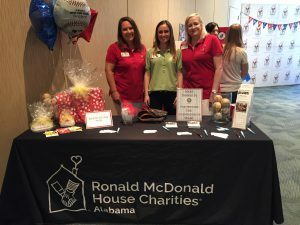 While working as an RMHCA intern, I have met three people with completely different jobs and different settings, all because I asked for help. This internship is for YOU and for the betterment of yourself and your future. Yes, it very important to remember who you are working for and the mission, but also remember that this internship will end and then it is on you to figure out what to do next. Do your best. You got this internship for a reason – make the staff remember every day why they picked you over other applicants. Some days may be harder than others but no matter what you’re doing, remember it is for all the amazing families helped by RMHCA. What you put into it is what you will truly get out of it. So try to have a positive attitude and make sure you are giving your full effort and providing things that are your best work. Ask questions. Never be afraid to ask questions. It is better to ask a question than to do something wrong . I have never done an assignment where I felt lost or confused. Everyone in the office is always happy to help so it is never uncomfortable or awkward to ask questions. The staff understands what it is like to start out doing something new here, so they are definitely here to help! My biggest takeaway from this internship was being able to learn/implement things that I could not do or learn from sitting a class. Internships are meant to help you decide what you do and don’t want to do when you graduate; therefore, it is important to have things you want to accomplish for yourself and keep copies of the things you’re proud of. Networking, doing your best and asking questions are the most important things to me in any setting. Making those connections and relationships with the staff will help them remember you and want to help you further down the road if you need them. The staff shows nothing but compassion towards the families and others. I wish you the best of luck and hope that you thrive in this internship. 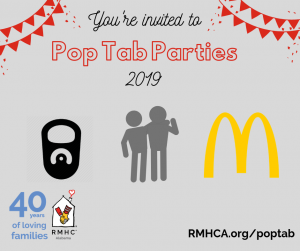 Ronald McDonald House is truly the best place to be!